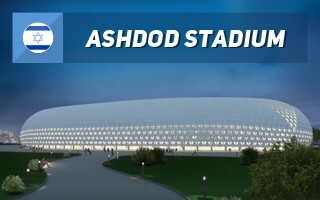 FC Ashdod are one of the last contenders of the Israeli Ligat Ha'al yet to use a modern stadium. The half-a-century old Alef Stadium no longer meets requirements, even after upgrades in recent years. And here comes the mayor of Ashdod, Yehiel Lasri, who earlier this month announced a major change. 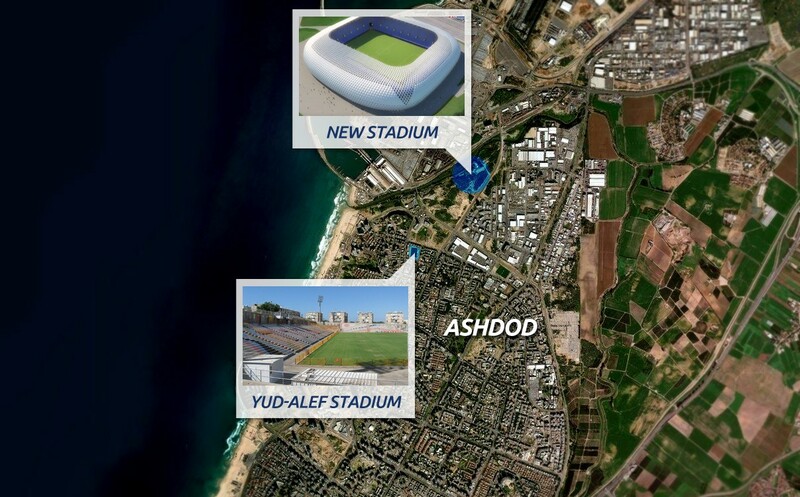 A brand new stadium in Ashdod would sit north of the city centre, in a newly-created commercial-residential area called Lakhish Park. At the same time it's just 800 meters north from the old stadium. Along the concept drawn by the renowned Goldschmidt, Arditty, Ben Nayim architectural office Ashdod will get a fully enclosed stadium. Its white oval outer form will be perforated in its lower part throughout the building, allowing air flow inside the concourse. Partly transparent cladding will also be added to the west and south sides of the roof to enable sunlight to properly reach the field. According to mid-2018 declaration by Ashdod mayor, construction could begin by year end and conclude in 2022. 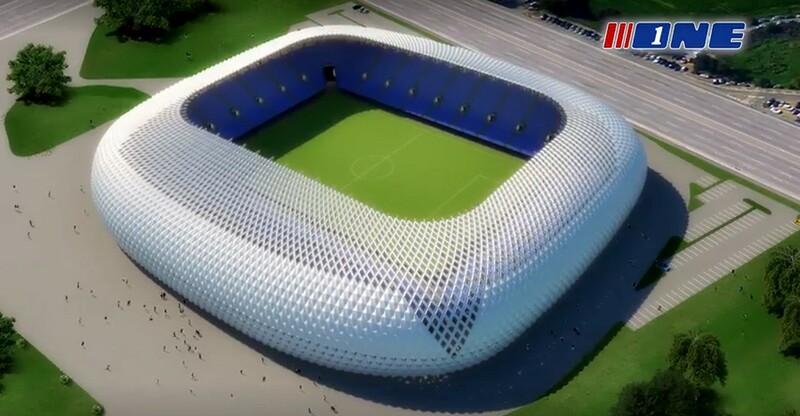 In its initial form the stadium would offer four separate stands, accommodating 16,300 people in total. Each corner would only be filled later, when demand justifies it, allowing increase to just over 20,000. Cost has been estimated to be around ILS 290 million ($ 80 million), which would make it one of Israel's most expensive stadia. Part of the budget will be covered by the municipality, part by the national lottery and parts by sale of land and developer deals, including the old stadium. It's one more of the growing list of Israel's modern stadiums. Haifa, Netanya, Petah-Tikva, Beersheba already have theirs, while work is ongoing in Tel Aviv and Tiberias, let alone further upgrades of Teddy Stadium in Jerusalem.